When visiting Sydney, it can be a good option to enjoy the city and all it has to offer by day and rest sound in a sleepy suburb by night. Mosman is the perfect place to do this. Set just over the Harbour Bridge, Mosman is a suburb of bays and beaches with views of the harbour and Central Business District (CBD). It is cultured and affluent, meaning lush restaurants and shopping experiences are aplenty too. Here are the top places to stay when breezing through town. 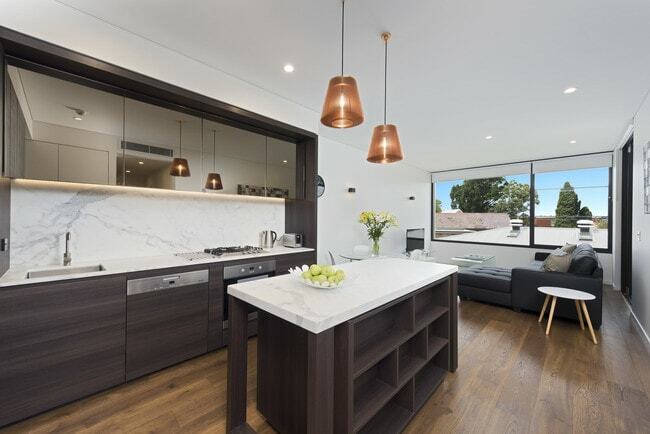 This boutique home with garden courtyard is a fantastic place to stay in Mosman. Chic and contemporary, with attention paid to feature decor (such as cushions and lighting), this property has great character while remaining modern and stylish. Sleeping up to six guests, this is a great spot to stay at when in town with family or friends. Sleeping up to four people, this chic and contemporary apartment screams style at a very affordable price. Whether it is a city break or business trip, this perfect little apartment sleeping in the quiet suburb of Mosman promises city-living in only 15 minutes by bus. The apartment also offers free parking on its doorstep, is kid friendly and offers a laptop work space too. This private oasis in the heart of Mosman is one of the most stunning places on offer in the locale. Offering an air of style and sophistication synonymous with summers in the south of France, this property boasts exposed stone walls, rustic accents of wood and wicker on a predominantly white and cream colour palette, as well as a stunning courtyard complete with an al fresco dining area. Astra Apartments have been created as the ultimate home away from home. These executive modern apartments are clean-cut in design and are geared toward business travellers. With a minimum of seven nights needed to stay, and options for longer periods of relocation, these serviced apartments allow for a sense of ownership when travelling with work. They are a blank but stylish canvas and offer 24-hour assistance as well as discounts for longer stays. This funky private villa is the perfect place for out-of-towners. The private one-bed property sleeps up to two guests and features designer furniture, flashes of colour and accents on wood as well as a sun-drenched deck perfect for evening drinks. The apartment is air conditioned throughout and has a private entrance as well as a private garden. This slick and stylish Mosman pad is set five minutes walk to Balmoral Beach and the hub of the suburb, where all the best bars and restaurants can be found. It is ultra-modern with clean lines and tonal shades. Sleeping up to four guests, this is the perfect base to explore the city and all Sydney’s stunning North Shore has to offer. Charming and artful, this apartment boasts quality country house vibes from the harbourside suburb of Mosman. Clad in white with wonderfully rustic features, the apartment sees pops of colour in the form of fresh flowers that don the coffee table and modern art hung on the walls. With tonnes of natural light and a sense of warmth, this makes for a great place to stay when in Sydney – and all just less than 600 metres from the ferry wharf, connecting Mosman with the city. These fully serviced apartments in the heart of Mosman – only 10 minutes from the CBD – are the perfect place to use as a base when visiting Sydney on business or pleasure. Simple but stylish, the studio and one-bed apartments are fully fitted with separate living and sleeping quarters, are secure and boast tonnes of natural light. From short to longer stays, Ballantyne at Mosman allows guests the flexibility of feeling at home while travelling in Sydney. This idyllic grand sanctuary in the heart of Mosman is the ultimate stay for those in need of a little luxury. The decorative property can sleep up to five guests and is classic and ornate, clad in marble and stone with antique French doors and art deco furniture, high ceilings, wrought iron accents and lots of natural light. Both bedrooms are large, each with its own balcony, allowing for the utmost comfort. This private luxury poolside cabana in Mosman is the ideal retreat when in Sydney. The super modern and stylish property has private access to the ground floor studio which is neighboured by a slick swimming pool. The studio itself boasts a 90-degree removable glass wall, meaning ‘open-plan’ takes on a whole new meaning: Stroll from living area to the pool’s edge, private BBQ or al fresco dining area with ease.